The Corvallis Public Schools Foundation (CPSF) presented College Hill High School teacher Jeff Peak with a Golden Apple award Friday. The award is presented each year to just three Corvallis School District teachers and one district staffer. She added that she has still occasionally feels anxiety about chemistry, but Peak’s teaching has made her feel more confident. “He’s kind of like a superhero teacher,” she said. 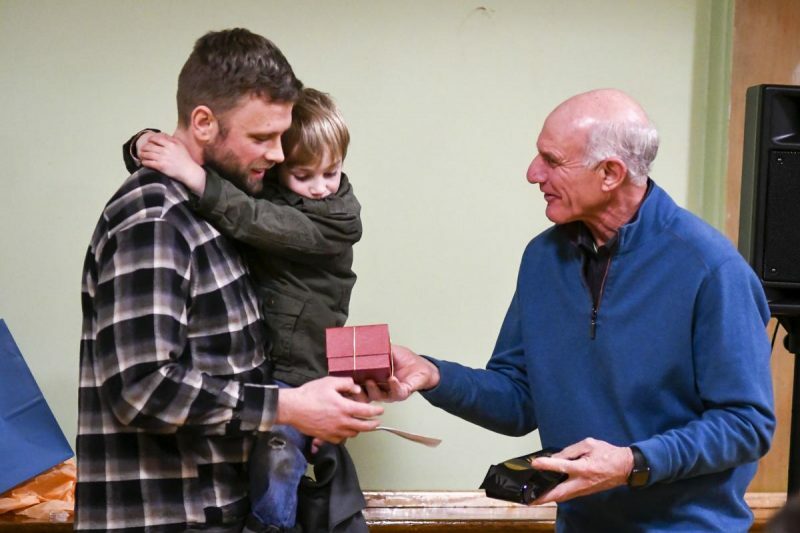 Ken Pastega presented the Corvallis Public Schools Foundation Golden Apple Award to College Hill teacher Jeff Peak and his 5-year-old son William during a school assembly Friday morning. ©Andy Cripe/ Mid-Valley Media. 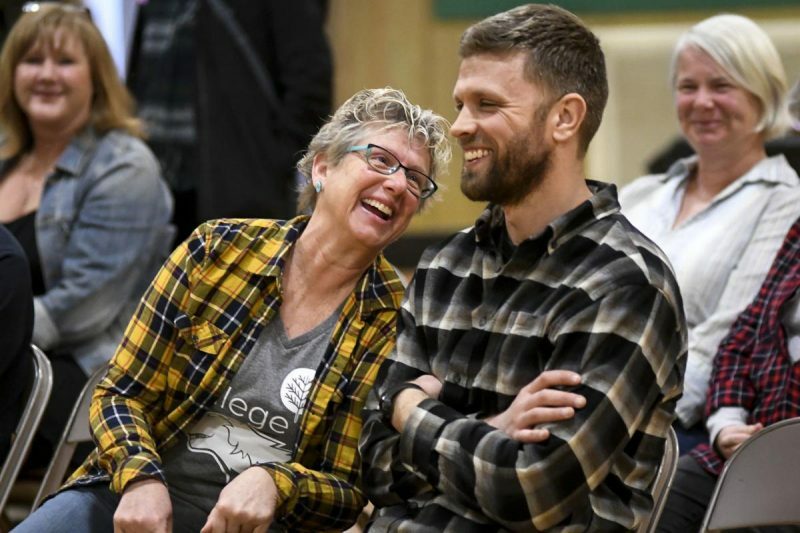 Peak said he is motivated to do all he does for students because he wants to find ways for them to get involved and feel like they belong, which will in turn motivate them to come to school. Peak said many of the school’s students have experienced homelessness, abuse or trauma, which makes it hard for them to focus on education. However, he said, College Hill has a staff that really can connect with those students.